Who is the best post player in this class? Tyren LeBeauf 5’11 PG is missing as well led his middle school to an undefeated record of 20-0, averaging 20 points and 10 assist a game. He has highlights on YouTube, https://youtu.be/LPnhtXKIRlM .check it out, five star caliber player. Jordan Conard is one of the best in class of 2022 he scores 20 to 30 a game you should look out Memphis,TN. Watch for Jonned Walker. He is ranked number 1 in Puerto Rico. No one can guard him. Wow. Kamari Lands and Chris Livingston have fell out of the top 54. I keep up with the top recruits in the class 2022. I look forward to my son facing them so I can see how he matches up. Simon Tilahun go to his games, watch him play. He plays for 7th grade Edge. Usually plays at Maps Sports Facility. He averages like 30 points a game. Watch out Los Angeles. parker lanosa is one of the top players in florida he is a shifty point guard he can shoot the 3 and perfected his dribbling and his med range game he is one of the top players in his class for sure he will be at mshtv this September. Khristian Clark Lead His Middle School Team To 18-0 Last Year and 16-2 This Year Averaging 21 ppg 7.4 ast 2.7 steals and 5.8 rebounds.He should be Top 10 Rumors are he’s coming to a camp be ready for this youngbull.He Goes to School in Statesboro,Ga (William James middle school)And His Aau Team Is called Garden City Kings 2022.CHECK HIM OUT! Aden Casarez & Mike Price, Real Run 2022 in CA. Potent 1-2 combo. 2 of the best in Cali. You got Bryce Griggs ranked way to low. Re-Evaluate. Trust me !!!! Get to know the name Michael Andresakis Jr. He’s a 7th grader from a small town that nobody knows. Doesn’t matter where he goes, no one player can guard him. He is a top defender if not the best defender at his age group. He’s coming!!! You can run but you can’t hide. The most complete player in the entire age group. Orlando Gonzales out of Phoenix Arizona is an absolute beast! Lethal from all areas of the court. Don’t sleep on this young stud! Should absolutely be on this list! he also plays aau for the DMV Vipers and goes to school at Samuel Ogle Middle School in Bowie, Maryland CHECK HIM OUT!!!!!!!!!!!!!!!!!!!!!!!!! Johnny Divane is 6’5″, great handles, can hit from long range, soft touch. Runs the floor hard. Plays at QAS on Northwest side of Chicago. There is no way that Corey Williams shouldn’t be in the 2022 top 15. Great shooter, averaging 19 points a game, great ball handler and is a beast down low almost averaging 12 boards a game. This kid is going to make noise out of the state of Michigan, also his team D3 watch for this kid he’s a beast. Parker lanosa should be ranked he’s getting looked at by multiply travel teams in Florida.To play he averages more than 12pts a game and 9 ast 2 steals his ball control and handle is crazy and his iq is Veary high his skill level as a pg is amazing should be ranked top 30 he will be making noise at mshtv and cp3 combine. Parker lanosa should be ranked top 30 for sure.He will showcase his talent at mshtv he works on his his craft every day.the whole summer hes in the gym for 5 hours or more and he will train the whole school year he is a shifty guard that can score and shoot. email me back for more. Ziyan Ali ,I have been watching this kid playing ball since he was 192 lbs and his determination and didication today basketball he lost his weight made himself so fit and strong and he proved himself that he is the best player .his hard work has proved that he deserves to be here at the top position. Marshawn Sayles from champaign Illinois deserve attention a natural stretch floor can knock down the deep bomb with simplicity plays the game very calm but have seen him do it at a high level !!! Seen him compete with Illinois top players and is Illinois top 5 hands down !!!! If these kids are ranked based on success in games and camps and their ability to impact games and long term potential the people ranking must not go to a lot of tournaments. There is at least one player on this list in the top 20 who doesn’t even start for the teams he plays on! None of them! Please, please explain that to me?! The Northwest has several great ‘ballers that aren’t here, but in the end it all comes out. Guess some people can’t let kids get by on their own merit, so they influence so called scouts to bump em up! Most of the players on here are damn good ballers. I’ve seen most of them at tournaments/camps around the country, but how many 7th graders you seen get drafted in the NBA? It will be twice as hard to knock Bobby Jackson off this list. 6″0 GAURD AND CHRISTIAN FERGUSON 5″7 SHOOTING GAURD. Jeremiah Talton from Quincy,Illinois is a natural big wing guard standing at 6″3 and can knock down 3’s and a dangerous mid range game. He plays the game very calm and smart. Illinois have not seen this kid yet but I assure you they will here about him. I would say that he is in the top 5 and the scary thing about him that he turned 13 years old four months ago!!!! Y’all quit worrying about rankings. Rece Porter, 8th Grader St. Augustine High School in New Orleans by far is the best 13 year old 3 gurad in Louisiana. 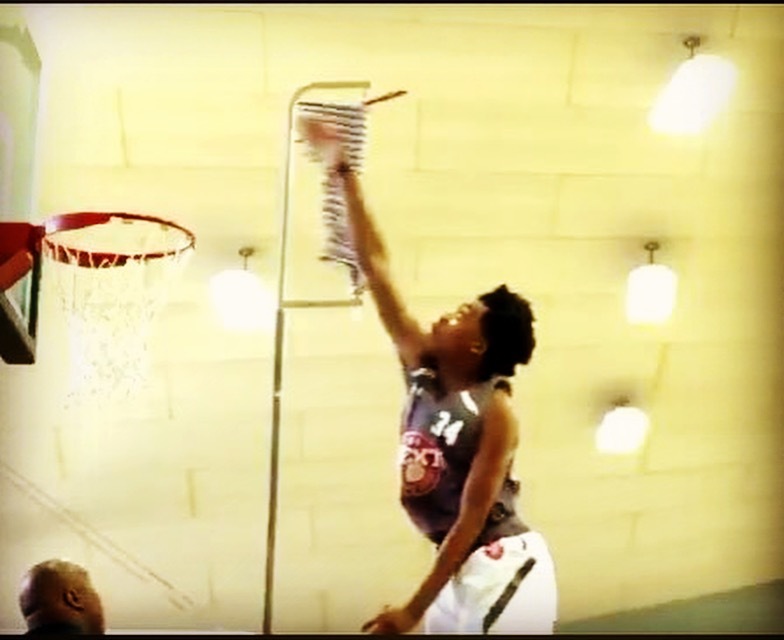 Isisah Barnes is the best 13 year old/ 8th Grade point guard in Louisiana. He is playing Varsity at Archbishop Shaw High School in Marrero right now. He is not RANKED. Thats why we play with a huge chip on our shoulder. Jaron Ratliff from Portsmouth,Virgina is suppose to be up there he 6 ft in the 8th grade averaging 24pts and 12reb and 7 ast the baskeball season. Darian King is a 8th grade 5’5 point guard for Waters Middle School. He is currently averaging 15 points, 5 rebounds , and 5 assist a game. He likes to attack the basket and finish with either a floater or a lay up. King has a decent outside and mid range shot. Kannon Klusmeyer is the most underrated basketball player in the country. he played my sons team and dropped 60 points and dunked several times. I have been around basketball for a long Time and this kid Understands the GAME his Dad was one of the best players that ever came out of Virginia/Norfolk area. Emoni Bates not in list?